Reviews of the Samsung NX200 from around the web. Samsung's latest Compact System Camera (CSC) isn't looking to do things in half measures. With a huge 20.3-megapixel resolution across its large APS-C sized CMOS sensor and a brand new design could the NX200 be the best NX-series camera yet? The Samsung NX200 is the latest compact mirrorless camera from Samsung and is an update to the 14 megapixel NX100. 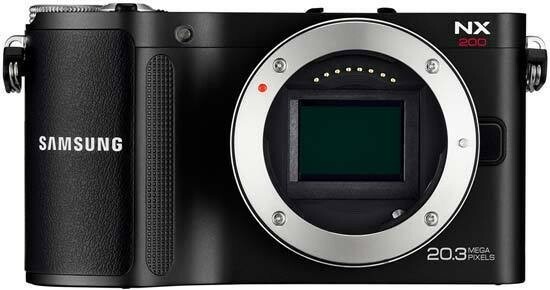 The NX200 has upgraded the APS-C sized sensor with a new 20.3 megapixel sensor made by Samsung, it's also introduced a new, more compact and more stylish design.